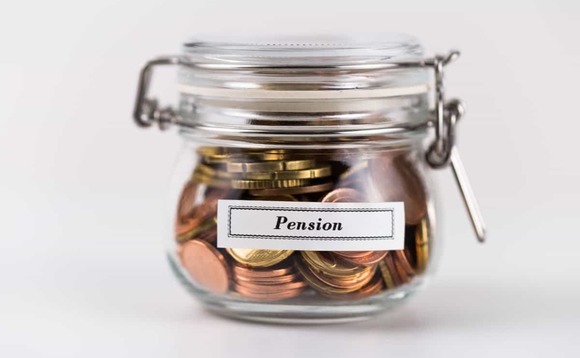 Moves to allow defined contribution (DC) pensions in the UK to consider illiquid assets will soon make it easier for UK savers to take advantage of the benefits of these long-term investment options, but there will be challenges, according to global research and consulting firm Cerulli Associates. A series of UK government reviews and consultations look set to "reverse a misunderstanding regarding daily pricing," according to André Schnurrenberger, Cerulli's managing director, Europe. "It seems that, although members may wish to check value of their DC pot daily, there is no legal obligation for this to be available," he said. In addition to shifting regulation, other factors are at play, including increasing pension pot sizes and the availability of new products. Schnurrenberger belives that DC members have been "left behind" as defined benefit and overseas pension schemes have poured money into UK infrastructure projects, private equity funds, and real estate. Data published by the British Venture Capital Association shows that UK pension funds contributed 3.7% to the £33.5bn ($43.9bn) invested in venture capital and private equity in the UK in 2017, compared to 37.5% from overseas schemes. "The perennial sticking point for DC investors considering illiquid assets is an erroneous belief in a requirement for daily pricing," says Schnurrenberger. UK government reviews and consultations will hopefully correct misunderstandings about the rules surrounding illiquid assets. In December 2018, the Financial Conduct Authority announced a consultation into "unjustified barriers" preventing retail investors benefiting from a broader range of long-term assets. As the legislative framework relating to the inclusion of illiquid assets becomes clear, DC plan trustees are increasingly interested in diversifying their portfolios by including alternative assets, the Cerulli report pointed. The National Employment Savings Trust (Nest), which is the default workplace pension saving schemes set up following the introduction of auto-enrollment in 2008, is among the first UK plans to tender for an illiquid assets mandate. Nest is widely seen as a trendsetter for the UK's workplace DC plans and its move may prompt others to follow suit, Cerulli points. Schnurrenberger added that while it is difficult to quantify just what difference the inclusion of illiquid assets will make to a portfolio, 2016 research found that the performance of DC schemes in the US "improved significantly" after they diversified their asset allocation. However, there are challenges to be overcome. The first is size. Although the DC universe is growing, there remains a long tail of micro schemes that are too small to be of interest to asset managers. The trend in the U.K. is toward consolidation, but this will take time. Another problem is that illiquid assets can be difficult to understand and are often opaque. In the absence of clear, accessible products it may be more difficult for DC schemes to invest. "Asset managers must deliver innovation, consultants must provide education, and DC schemes must be open to what illiquid assets have to offer. If these forces align, and regulation changes to facilitate positive action, then 2019 could be illiquid assets' breakthrough year," says Justina Deveikyte, associate director, European institutional research at Cerulli. Cerulli is expecting demand for thematic exchange-traded funds (ETFs) to increase across Europe, despite challenges such as the relative scarcity of sufficiently long track records. Nearly 80% of the thematic ETFs launched in Europe prior to 2012 have since closed, compared to fewer than half of all equity ETFs. Another inhibitor to growth is that thematic fund fees are higher than those charged by equity ETFs in general. Thematic funds are also more expensive than sector and strategic beta ETFs. Private equity, for decades the exclusive domain of institutions, is opening up to high-net-worth individuals (HNWIs), says Cerulli. The number of structures and products enabling HNWIs to circumvent the illiquidity and minimum-investment barriers of the past is rising. One route is via feeder funds, which pool individual parcels of capital from approximately 300 HNWIs into a single vehicle.